Does it matter what you call disabled people? A recent Straits Times opinion letter by Justin Lee says we’ve been too busy giving disabled individuals “politically-correct” labels, instead of changing our attitudes towards them. society’s constant search for new euphemisms is ultimately pointless. The problem is not with words but with attitudes. Are we so uncomfortable with disability that we only focus on the positive parts, dress it up, and distract ourselves from its realities, which could be negative and inconvenient for the disabled? We should instead recognise that people have multiple identities and that their disability is but one of these identities. 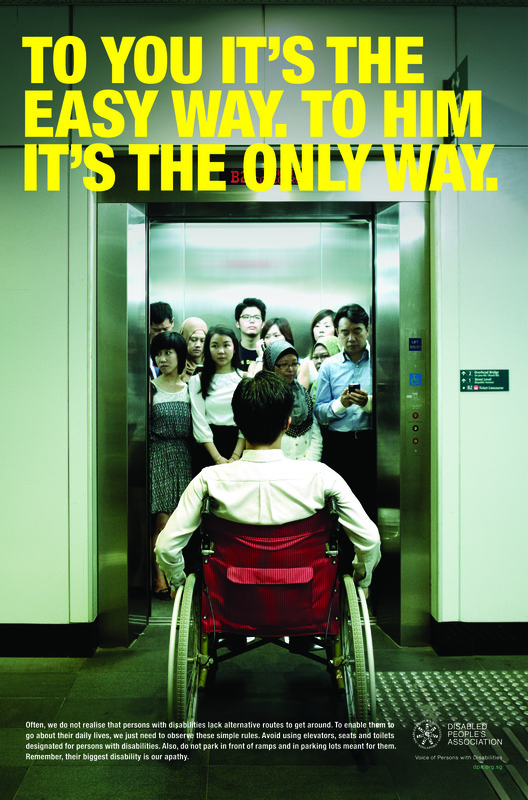 It is timely that Justin raised questions about how Singapore addresses the way it “includes” the disabled, because changing our labels for disabled people is like winning the battle but losing the war if we fail to change our mindsets about disabled and special-needs people.